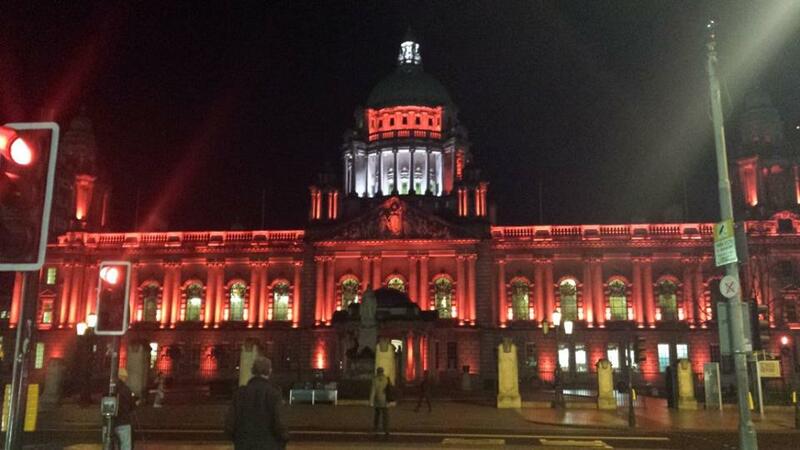 For the life of me I couldn’t figure out why Belfast’s City Hall was lit a blood read colour last night. It turns out there is a massive blood drive on today at City Hall and if you’ve never given before now is the time. All you need to do is lie down for an hour, you could save someone’s life. . In case you didn’t know you can give blood just about any day during the week at the Northern Ireland Blood Transfusion Headquarters or at centres all around Northern Ireland. For more details go here. I’m not going into the silliness surrounding blood transfusions in Northern Ireland at the moment. I’m just going to say this. Blood donation is a vital resource and one that needs to be constantly updated as even frozen blood only has a shelf-life of a few days. One donation can help three people and only 4% of adults in the UK are donors. I’m afraid I have to admit I’ve been told not to give blood. Not for any sinister reason but because every time I’ve done it I’ve fainted. I’m not a fainter, in fact giving blood is the only time I’ve ever fainted so medical staff have advised me that I shouldn’t give anymore. I feel it’s a real shame as It’s somethig I would happily do. The blood drive today is in support of Oscar Knox, a Belfast boy diagnosed with an extremly rare type of cancer. In the last year he has received more than 30 blood transfusions. Details of the blood drive are on the NI Blood Transfusion Service above. Sure it’s a rainy day, what else would you be doing? Going for the first time to give blood ! Good for you! Don’t forget to eat your biccies afterwards!